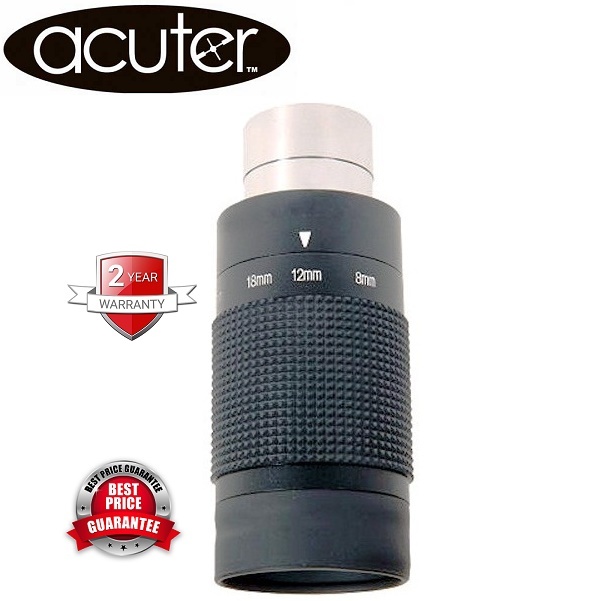 Acuter 8-24mm Zoom Eyepiece For Acuter Waterproof Spotting Scopes : The Acuter eyepiece is a zooming type eyepiece that offers 8-24mm focal length with different models of Acuter water proof spotting scopes. The eyepiece is compact, durable and sophisticated design. The eyepiece is perfect for those enthusists that variably requires medium to large magnifications. Multicoated optics are incorporated to assure optimum light transmission and to deliver high contrast images. Magnification of eyepiece vary with objective lens of the scope. With spotting scopes of 65mm / 80mm / 100mm objective lens diameters, the magnifications are 15-48x / 20-60x and 22-67x respectively. 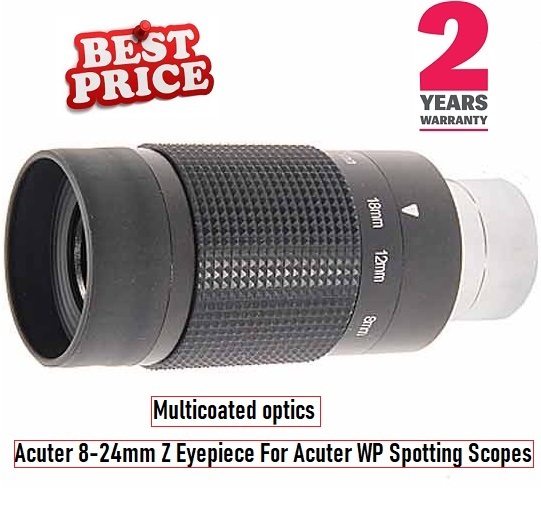 Acuter 8-24mm Zoom Eyepiece For Acuter Waterproof Spotting Scopes is available at Microglobe at discounted price. Microglobe is largest online sport optics store of the UK. For more information about, Acuter 8-24mm Zoom Eyepiece For Acuter Waterproof Spotting Scopes website.